A creamy, silky, light, mousse-y, but rich, spiked chocolate mint pie, this Chocolate Creme de Menthe Pie is a cinch to whip up. Simple, quick, and no bake! 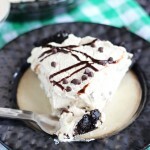 Okay, so the Chocolate Irish Cream Pie that I posted a few days ago? This Chocolate Creme de Menthe Pie is basically the same pie, but substitute Creme de Menthe for Bailey’s. Oh, and add some Creme de Menthe to the whipped cream on top so it’s nice and minty too. 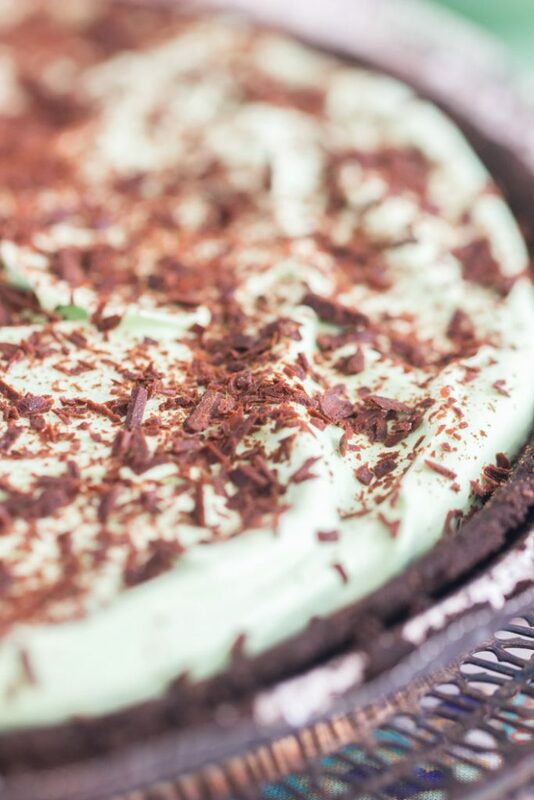 That’s really the only difference – I super cheated when I made this Chocolate Creme de Menthe Pie, but as the saying goes, why reinvent the wheel? (Don’t you just hate that saying?? But it’s true.) 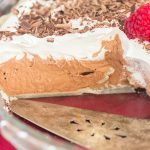 I made and loved that Chocolate Irish Cream Pie, and if you read that post, you know that it was not a recipe I planned. I didn’t set out to make a Bailey’s Chocolate Silk Pie, but it just kinda happened. I set out to make a different kind of pie, and I ended up with a chocolate silk pie spiked with Bailey’s. Hey, that’s a great day. 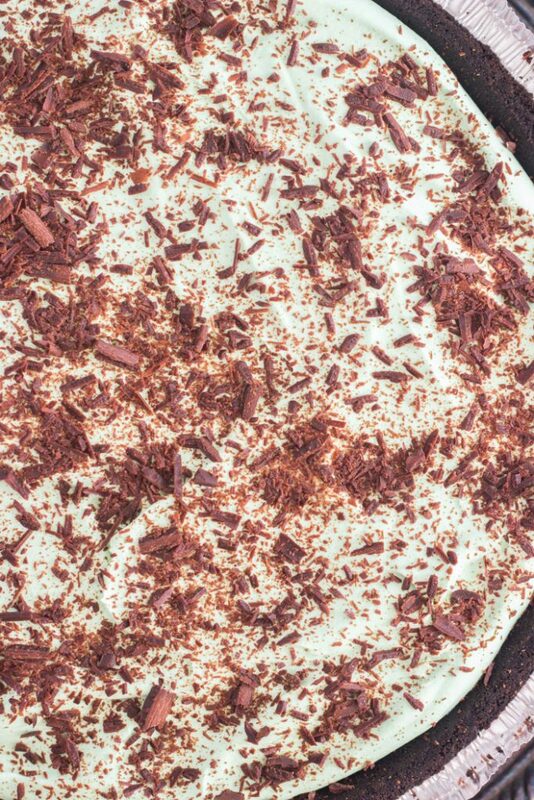 This Chocolate Creme de Menthe Pie was a product of that same train of thought. 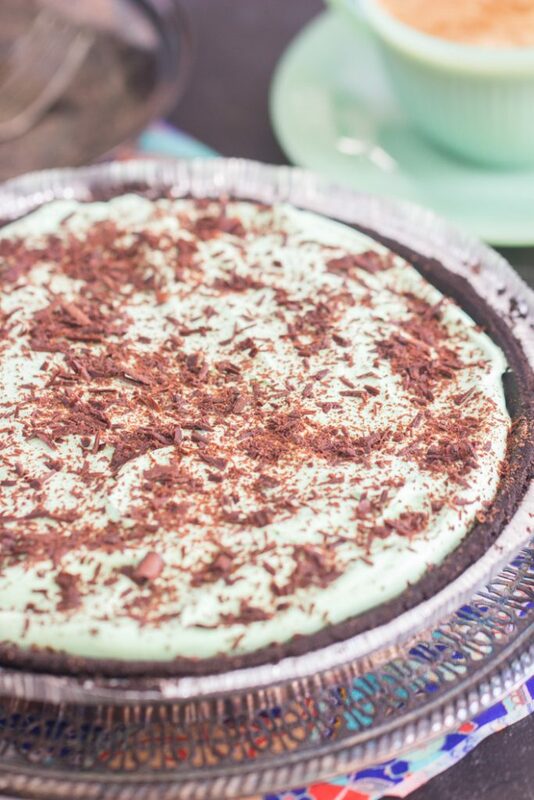 If the Bailey’s Chocolate Silk Pie is wonderful, why wouldn’t a Creme de Menthe Pie version be wonderful? It is! Go figure. This is like a Grasshopper Pie. I’ve wanted to make a Grasshopper Pie for a long time, but it always gets put off. Here we go, this is basically a Grasshopper Pie. 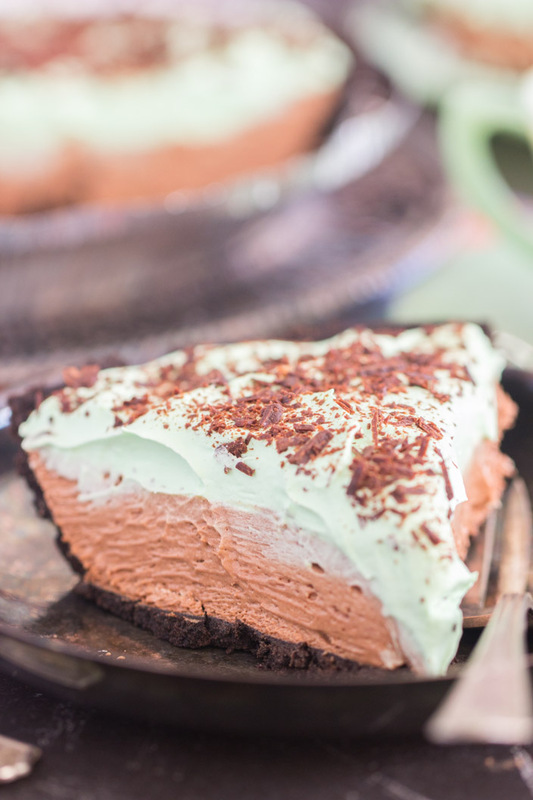 A creamy, silky, light, mousse-y, but rich, spiked chocolate mint pie. 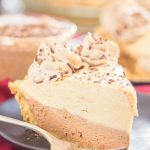 If you love this pie, definitely make sure to check out the Bailey’s Chocolate Irish Cream Pie recipe. 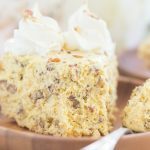 And if you’re looking for other St. Patrick’s Day recipes in general, I must point you to this St. Patrick’s Day recipes Desserts round-up. Oh, and this is a helpful reference too, if you like easy pie recipes: 17 Ridiculously Simple No Bake Pies that you can make in minutes. Last, but not least, and sorry for all the links, but I want you to know about these Bailey’s and Guinness recipes, if that’s what you’re looking for! 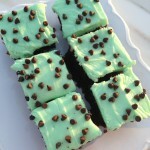 These are my most popular St. Patty’s recipes: this No Bake Bailey’s Irish Cream Cheesecake, these Malted Bailey’s Irish Cream Brownies, these Guinness Chocolate Truffle Cupcakes with Bailey’s Frosting, and these Guinness Brownies with Mocha Frosting. 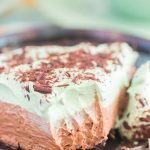 No Bake Double Layer Chocolate Creme de Menthe Pie! 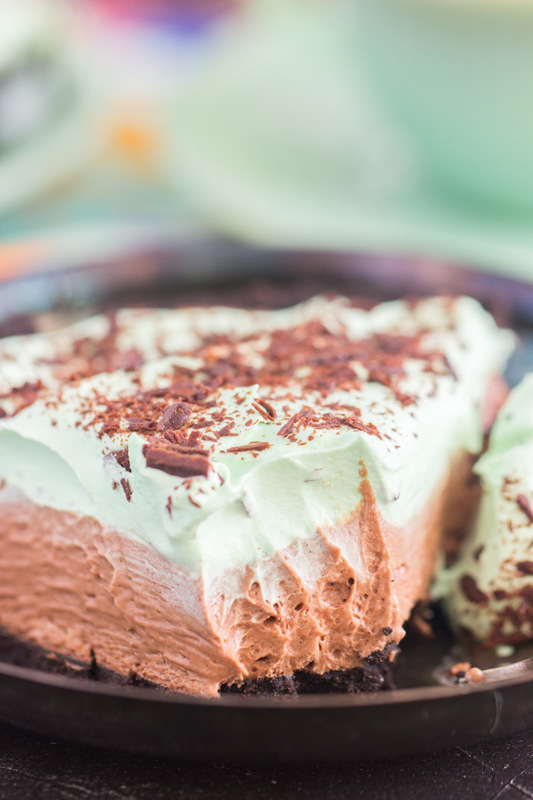 A creamy, silky, light, mousse-y, but rich, spiked chocolate mint pie! In a large saucepan over low heat, combine marshmallow fluff, chocolate chips, butter, and coffee. Cook and stir until chocolate is melted, and the mixture is smooth. Whisk in 1/4 cup creme de menthe, and the creme de cacao. Fold in 8 oz. whipped topping. Spread mixture evenly into prepared crust. In a large bowl, fold remaining 8 oz. whipped topping with remaining 2 tbsp. creme de menthe, and the green food coloring.